You know what it means to be placed in Gryffindor, right? You're among the bravest and the boldest of the wizards in the United Kingdom. That's nothing to sneeze at. Brave and Bold aren't just simple nice compliments to tell the young students of magic, these attributes have some serious implications! For one, there's all the mischief just waiting those wizards that wander off the beaten path. Some things, like the whomping willow, will physically keep even the boldest kids from discovering dangers like the Shrieking Shack. Other dangerous situations just leave themselves open for a brave and bold student to wander into like the Forbidden Forest. While most students learn to avoid anything that's titled with alliteration when they're studying at Hogwarts, bravely trespassing in these kinds of places is actually all about motivation. If you want to get the bottom of a clandestine scheme, you're not going to let a perilous sounding name get in between you and the answers! You don't want to show up in your muggle clothes when you finally show up at Hogwarts for your magical education. You'll be in uniform once you get this costume. Layer the gold trimmed sweater under the red and black robe. The deep red trim along the hood and wide cut sleeves are complemented by the shield and red and gold tie. 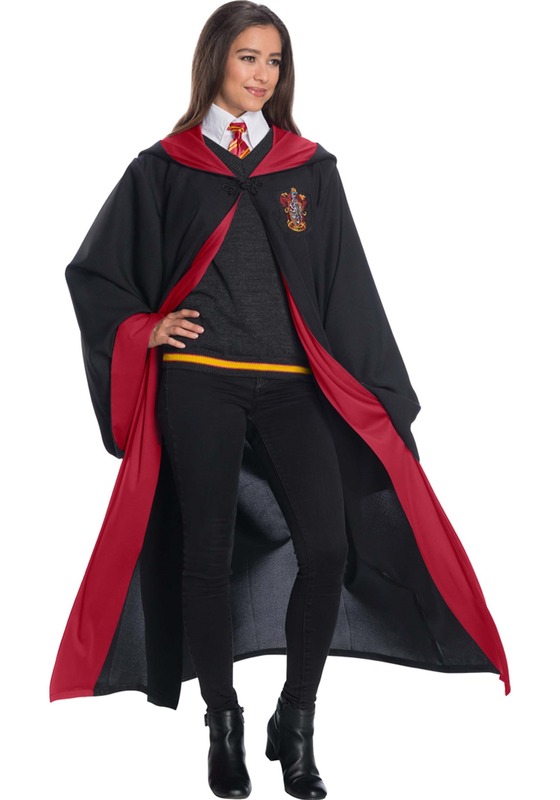 Pair this with some black slacks or one of our Gryffindor pleated skirts and you'll be ready for class. We hope you're excited to head back to school, even if you're much older than the typical seventh year age. Whatever you might be facing, we know you'll do it with great bravery. 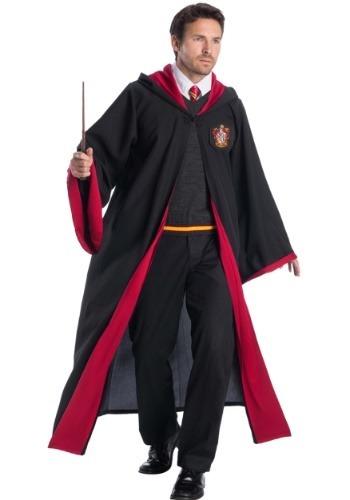 These costumes are great for Harry Potter themed parties, literacy week, or just good ol' Halloween. Either way, we're pumped for your wizarding future!